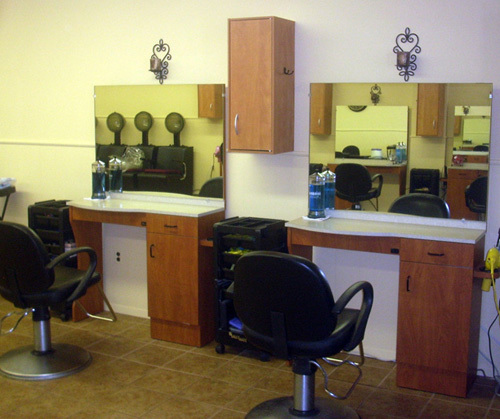 Finishing Touch Hair Stylist is committed to ending bad hair days so you can conquer anything! Our skilled professionals are highly trained in the newest trends, innovative coloring techniques and great styles designed to fit your busy lifestyle. Offering only the best products and services, we offer a full range of personal care and relaxation services in a private environment. We offer covered facilities for privacy and seclusion. We stock a full line of Redken Products to cater to individual customers needs including products for sun damaged, color treated and over-processed hair. We have specialists in wigs as well as damaged hair and color correction. Finishing Touch is the perfect place to relax and rejuvenate so that you can feel re-energized! Gratuities are not included in the price of your salon or spa services. In appreciation for services, gratuities may be left at your discretion. Gratuities of 15 - 20%, are customary. Two-week cancellation notice required for parties of 4 or more. All Times Are Approximate. Prices & Services Subject To Change.